If you're looking for a variety of fun photo opportunities, it's hard to beat the array of subjects and activities at a local festival. Food, rides, music, cars, costumes and activities make for memorable and dynamic images. With the coming of fall, the local festival scene is in full swing. From the Emma Crawford Coffin Race & Parade, in Manitou Springs, Colorado, to the World's Largest Disco in Buffalo, NY, and everything in between. Or just come to celebrate the food by finding one the country's many (many) bacon, blueberry, strawberry, or pumpkin festivals. And that's just in the U.S. International festivals worldwide, from large metropolitan cities, to small town and villages also make for fun photo opportunities. While International festivals may not involve as many particular food sub-specialty groups a America's festivals (looking at you National Litil Festival), the purpose is the same. We're celebrating . . . us. 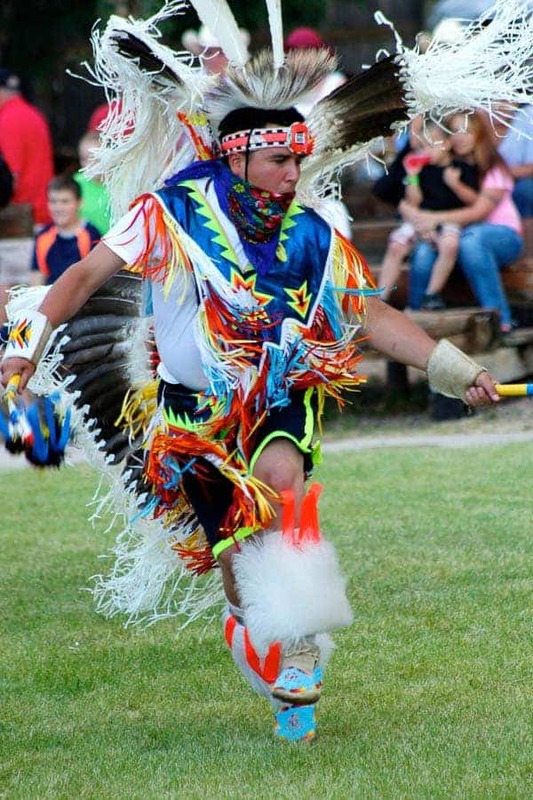 Part of recognizing history, tradition, and culture is celebrating our common history, tradition, and culture. It's hard to expect future generations to carry on traditions that are presented merely as benign historical facts. If you're expecting your grandchildren to remember that your community was the birthplace of the electric toothbrush, or the creamed corn capital of the Midwest, then it needs to appear in more than a history book's footnote. Sometimes the subject of the festival itself is dynamic. 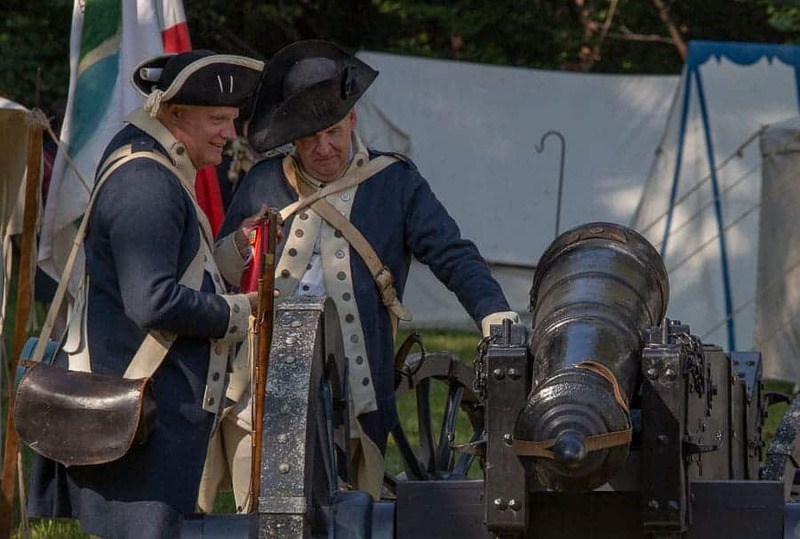 But it can also introduce you to some truly fascinating people: horse people, car fanatics, weekend food truck vendors, carnival travelers, circus performers, leather and wood crafters, civil war re-enactors, banjo pickers, and homemade buffalo jerky makers. It's been said that bored people are boring people. But those who have a hobby, a pastime, a passion, or even occupation they enjoy enough to take the time to share it? Those people will never bore you. So take your camera to a festival full of people who find something interesting–even if it's not your cup of tea. Their passion will come through in your photos. Here are some subjects to keep an eye out for at your next local (or not so local) festival. Longtime Apple design guru Jonathan Ive once said, “One person's car is another person's scenery.” Most cars exist for utilitarian purposes–to get us back and forth to work, the bank, or soccer practice. But it's a testament to the artists, engineers, manufacturers and collectors that such a lunch pail-friendly invention is capable of high art and beauty. The same industry that gave us the boxy Jeep during wartime produced the exquisite Jaguar. I'm a long time car-lover, but I wouldn't call myself a “gear head” by any stretch. I smile at the lines, the colors, the textures, and the sense of power and speed that comes with imagining–and occasionally driving–classic or exotic cars. Cars are a great subject for local festivals. 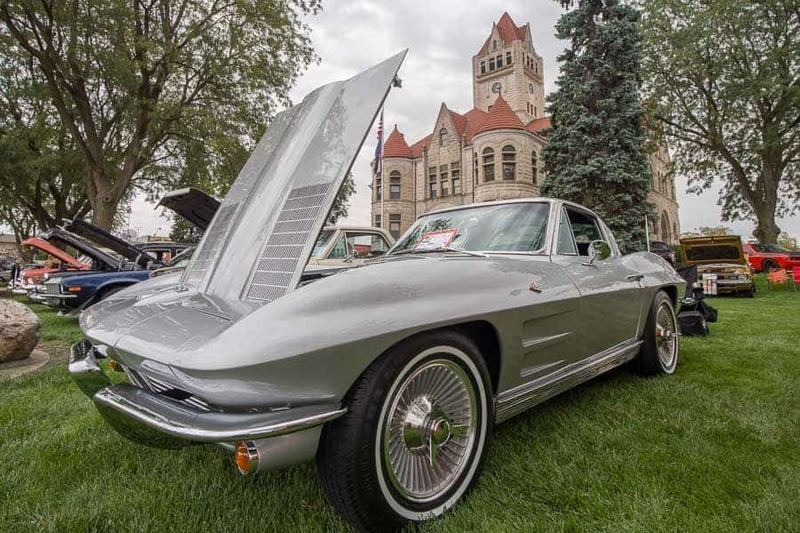 First, it's usually inexpensive or free to check out a classic car show. Except for some rarefied collections of automobiles, most car owners love showing off their pride and joy. Second, car shows are very common. Car owners don't need much of an excuse to come together and admire their automobiles. Some car festivals stand alone. 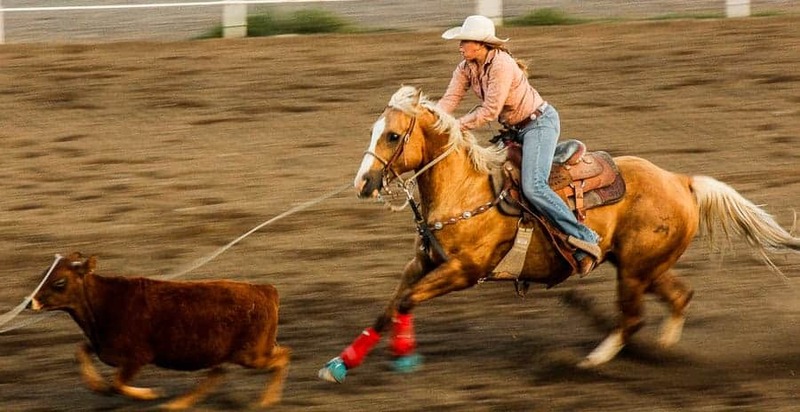 Some may be tacked on to a county fair, or a charity 5k fun run, or a chili cook-off. There's even an app dedicated to finding car shows. When looking for great photos of cars, try changing your conventional point of view. Get low with a wide angle lens, or give yourself a shallow depth of field around the hood emblem. The less ordinary the point of view, the more exotic the car will seem. Also, watch for the car's lines. Where does the slope of the hood take your eye? Don't deprive the viewer of finding the end of that line–like an unresolved melody, it will only irritate. Watch your background, too. If there are too many people standing around the car to wait for them to pass, consider a long exposure to blur them out. Animal acts are a mainstay of many local festivals. Human interaction makes for fun images. 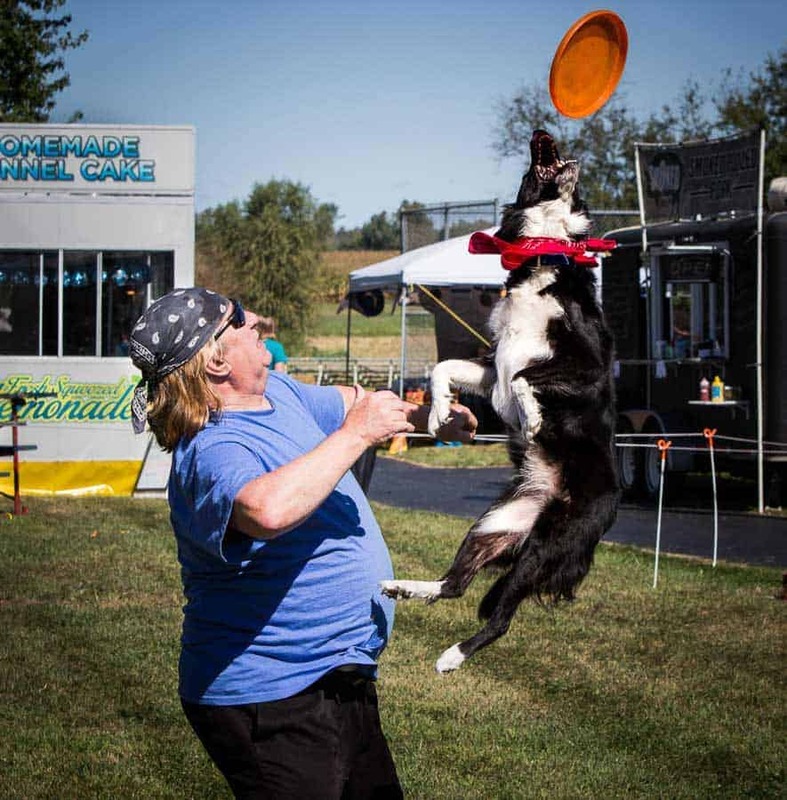 In the image above, the dog had been trained to use the trainer's knee to leap into the air and catch the Frisbee. 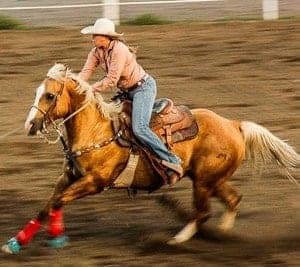 Because the thrill is often built around the quick pace of the animal, keep shutter speed as fast as possible without sacrificing usable light. I was fortunate to have a sunny day when this was taken. But sometimes, the most photogenic animals at the festival might not be there to perform–they're just pets of the attendees. Because so many festivals happen outdoors and spread out over a large area, they are naturally pet-friendly in a way that a sporting event or concert isn't. Someone who might be shy about having strangers take her picture will show off her chocolate lab like a vaping teenage mall rat showcasing his Yeezys. Music festivals abound. I'm biased in favor of jazz festivals, but my bias seems to be shared by many others. Jazz festivals, particularly in warmer weather, remain a popular reason to gather and celebrate outside. The other reasons all seem to involve a deep fryer (more on that later). 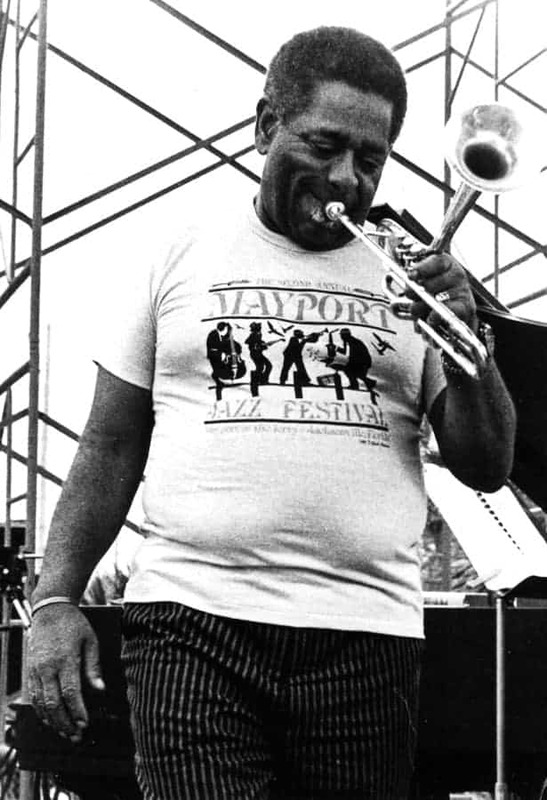 Dizzy Gillespie playing at the Mayport Jazz Festival – Jacksonville, Florida. 1982. Black & white photo print, 7 x 5 in. State Archives of Florida, Florida Memory. What separates a music festival from a concert might only be the variety and number of acts, and duration of the event. But as photographers, there are some other reasons why a music festival might be a better photo opportunity than a concert. First, most music festivals involve many daytime acts, whereas most concerts are predominantly evening and night-time visual subjects. While this may be less dramatic, it also means not having to push the limits of your lens and camera body capabilities to the limit in darker venues. Festivals can also offer more accessibility to the performers. With acts spread out throughout the day, you might be able to get closer to the stage if you're willing to snap some shots of an up-and-coming act that doesn't have thirty thousand fans crowding the stage. Even in festivals that aren't entirely built around music, music is often part of the celebration. You might even find a street performer, or a sidewalk musical artist. Look for musicians who have unique instruments, or play them with a concentration or intensity that speaks of the evocative nature of the music they are producing–and their passion for it. Oh, and here's one more item for the festival checklist, while we're on the subject. As photographer, if you ever take a photograph of a street musician–or any street performer, for that matter–with a tip jar, tipping is not optional for you. If you photograph such a person without throwing in a tip, you're a schmuck. The food is half the fun of a festival. But food can be tricky to photograph, to be sure. Experts in product photography are masters at controlling light, texture, and post-processing to create mouth-watering images of even the least memorable dish or beverage. You're not going to have the time or equipment to pull that off at a festival, so expect it to be a little more casual. That doesn't mean you have to dumb the images down to the level of the incessant here's-what-I-ate-today fare on Instagram. Festival food is supposed to be, well, festive. Fun. Jolly. It's Less about #paleo or #southbeach and more about #DeepFriedSnickers, or #FunnelCakeComa. But more than the type of food, festival food is about the people enjoying the festival, laughing and having fund with friends. That's not to say that the person–not the food-must always be the subject of the photo. In the image below, the sandwich is the subject. 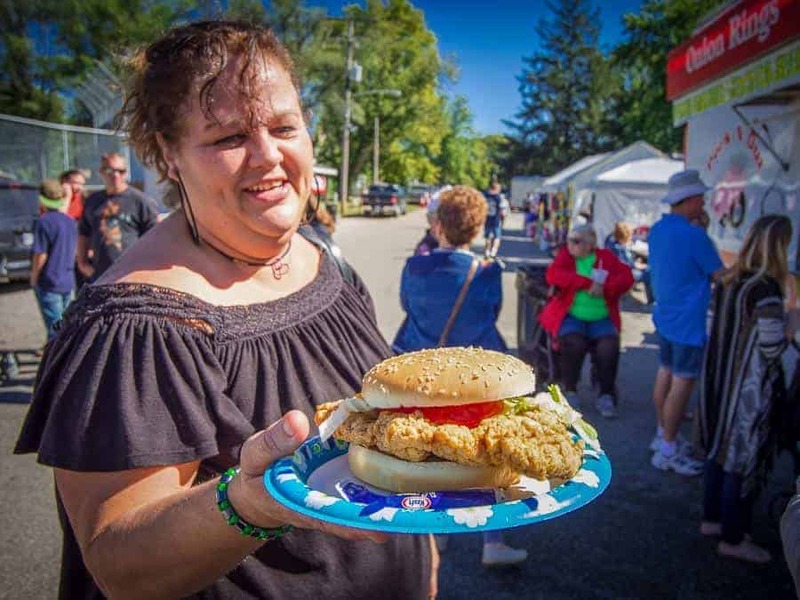 The woman holding it is smiling, but she's one of many festival-goers in the image. She's having fun and has a great, honest smile. But she's not the subject of the photo, she's the context. It's a mediocre image technically, but her attitude and the simple joy and the silliness of offering up a sandwich to be memorialized in a photo, make it a fun moment. By the way, that sandwich was a fantastic pork tenderloin–I had one just like it after I took the picture. Two more tip about festival food photos. First, unless it's a kid eating something comically sloppy, like ice cream or cotton candy, nothing good can come from a photo of someone actually in the act of eating food. It's awkward and gross. Also, if there is a marquee food to the festival, make sure you capture it. So if you're shooting at the Pineapple Festival in Jensen Beach, nobody wants to see a picture of a Sharon eating a stupid hot dog. (Classic Sharon!) Get. The. Pineapple. No festival or carnival is complete without the vertigo-inducing madness of a thrill ride that makes you wish you hadn't eaten eight pancakes for breakfast. They always have intimidating names like the Terror Tornado, or the Super Scrambler. But the idea is simple: spins, twists, some G-forces and suddenly you're Roger Moore in Moonraker, with your cheeks falling back into your skull wondering why you paid perfectly good money to feel like you're a test pilot at a discount space shuttle proving ground. Ferris wheel at night, Clifford Photographic Collection, OSU Special Collections. & Archives. But the Ferris Wheel is still the king of this particular jungle. The most recognizable and most common type of carnival ride, the Ferris Wheel is also iconic fun for photographers. Its height motion make it visually distinguishable from the rest of the festival around it. 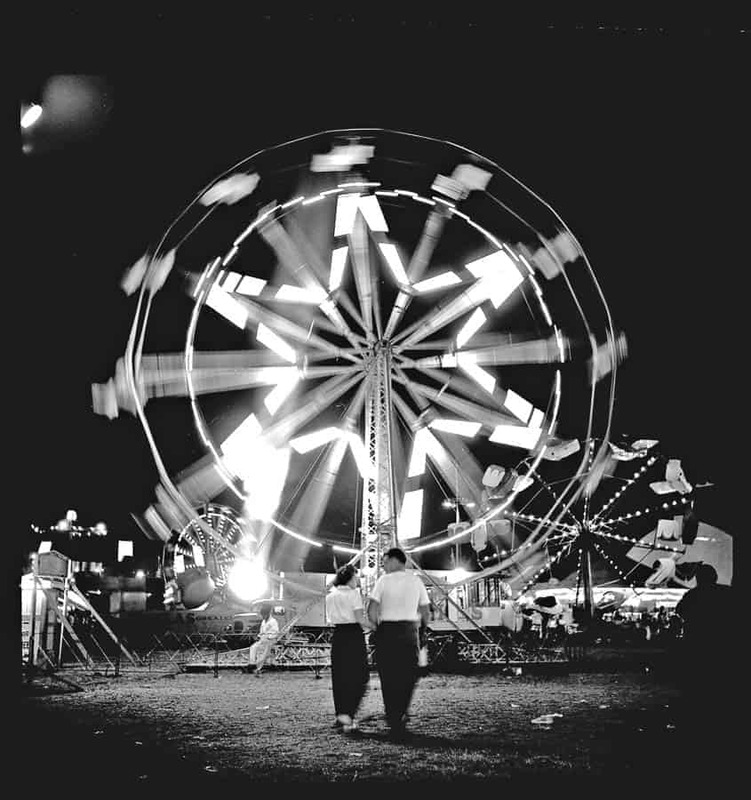 The Ferris Wheel and other carnival-style rides, are naturals for night photography. Capturing these mechanical marvels at night might make long exposures not only a creative flair, but necessary. If you can't bring your tripod to the midway, look for a picnic table or covered trash can to brace your camera on for a 1-2 second exposure. 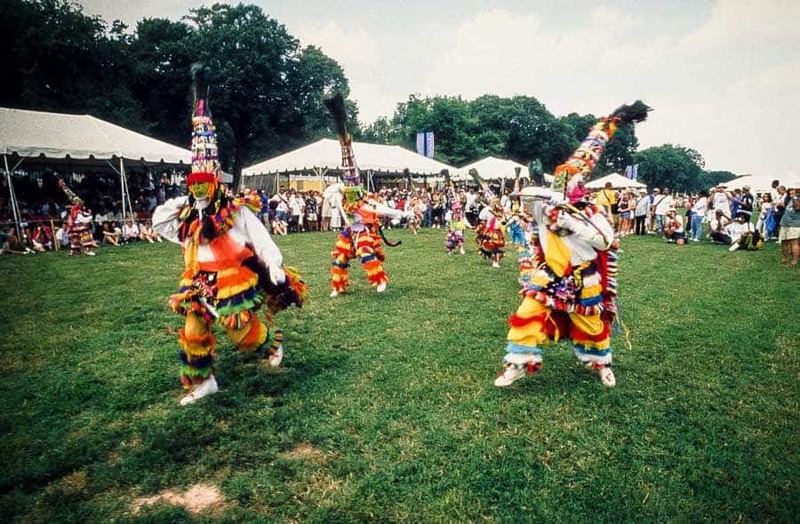 Gombey dancers from Bermuda perform during the 2001 Smithsonian Folklife Festival on the National Mall. Photographer: Harold Dorwin. Smithsonian Institution. Local festivals are overflowing with costumes and special attendees wearing special clothing. Sometimes, this flows from cultural or spiritual significance, as with Native American dress. It can also result from specific historical events, like revolutionary or civil war era re-enactors. It's a great way to remember history. Visually, photographers are drawn to the unusual. In that sense, there is a journalistic quality to all photography. Maybe it is a more colorful landscape, or a broader smile, or a cuter toddler than we see in our mind's eye. As long as it is not the mundane, the normal, and the every-day, ho-hum picture in our heads, then we want to capture it. 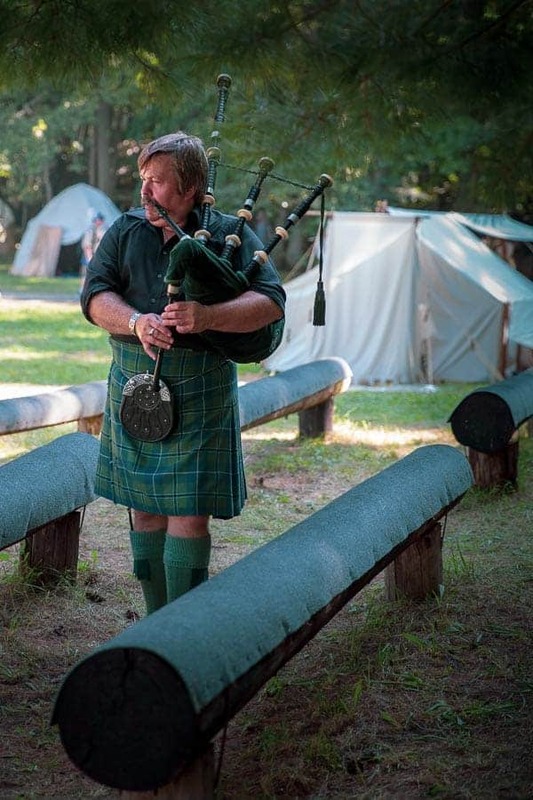 So when revolutionary militia-men or a bagpiper dressed in full kilt regalia walks by, it's no wonder it piques our interest. Photographers should be careful of one particular issue when photographing fair-goers in special dress. Make sure you have permission to photograph. I'm not talking about a model release, but if there is a particular cultural or spiritual significance to the dress of some attendees, have the event organizers limited photography in some way? For example, during certain ceremonies, or if flash prohibited? You don't want to be the one who's responsible for the outright photo ban. Festivals offer great opportunities for human activity, interesting subject matter, and evocative imagery. Bring a good walking-around lens and a curious mind. Talk to the guy who sells homemade root beer. Find out how long home-made candle-making has been a think in western Pennsylvania. If festivals are designed to celebrate us–our past, our culture, our interests–your photos are a digital time capsule for future generations to enjoy. Who could be bored with that?